Crossing the BU Bridge is about to get a lot more difficult. By Abbi Matheson·	 4/11/2017, 4:22 p.m.
Out with the college students and in with more construction. Beginning on July 26 and continuing until August 14, almost every form of transportation in Boston will be affected by construction on the Commonwealth Avenue bridge. This is the first half of the project, with the second set to take place in the summer of 2018. Construction will not only replace the aging bridge, but also create new bike lanes and improvements in pedestrian walkways. The timing of the first half avoids the move in/move out dates for many area colleges, but could impact fans’ ability to get to Fenway Park this summer. The Green Line’s B branch, the CT2 and 47 bus routes, and the Worcester Commuter Rail line will all have detours and transit shuttles at certain stops. Buses will replace the B line from Babcock Street to Blandford Street starting at 9:00 p.m. on July 26 until 5:00 a.m. on August 14. The 47 and CT2 buses will be detoured and may experience delays, along with the 57 bus. Comm. Ave. itself will shut down between Brighton Avenue/Packard’s Corner and Kenmore Square from 7:00 p.m. on July 27 to 5:00 a.m. on August 14. The road will only be open for local businesses and residents, MBTA buses and emergency vehicles, pedestrians, and bicyclists on the westbound side. The BU Bridge will also be closed to vehicles other than MBTA buses, pedestrians, and bicyclists. Time to start walking to work? The Massachusetts Pike, Interstate 90, will slim down to one or two lanes from July 28 at 9:00 p.m. until August 7 at 5:00 p.m. On the project website, the Massachusetts Department of Transportation says it is likely traffic will be impacted during peak hours. A trial run of the change to two lanes will take place from Friday, June 2, through 5 a.m. on June 4. Yesterday, the Boston Globe reported that this type of construction typically takes four or five years, but MassDOT will be using “Accelerated Bridge Construction.” Working in continuous 24 hour shifts, implementing major road and transportation closures, and using fast-drying concrete, they are able to shorten the total timeline to just over two weeks. The first of three public meetings on the bridge construction will take place on April 24 at 6:30 p.m. at Boston University’s Jacob Sleeper Auditorium at 871 Commonwealth Avenue. 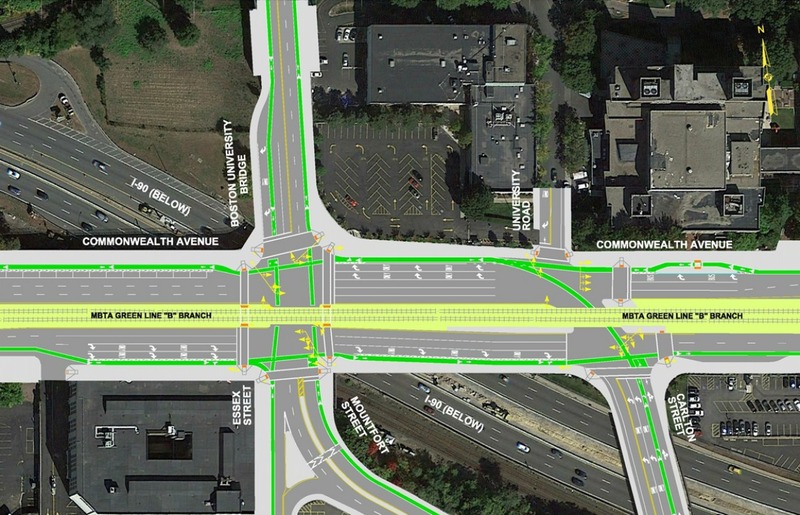 Check out MassDOT’s video simulation of the project below.